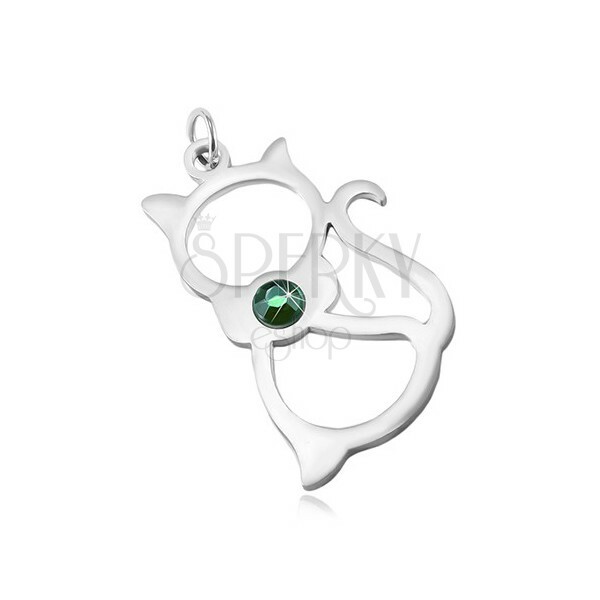 316L steel pendant in silver colour, matte cat contour with curved tail, bow and circular green zircon. 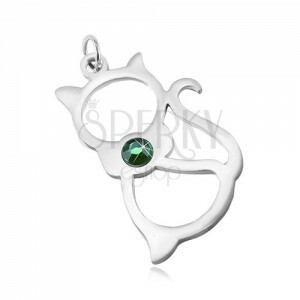 Stainless steel pendant has the shape of a cat contour and a matte smooth surface in silver colour. The cat has a curved tail, and a bow on its neck. In the middle of the bow is imbedded a circular zircon in emerald green colour. The eye for the chain is circular and thin.